When I was interviewing nuclear physics academics in the aftermath of the Fukushima Daiichi incident I generally finished by asking two questions: ‘should these events have an impact on the building of new power plants in Europe?’; and ‘Are they likely to have an impact on them? The answer to the former was invariably no (although generally these are people with vested interests it has to be said), while the answers to the former started with ‘erm, well…..’ meandering to something inconclusive. They knew that they could argue until they were blue in face about the creaking old design of the Japanese reactor coupled with the extreme unlikelihood of similar seismic activity in Europe – but once the issue became political though, the science wouldn’t matter. More than six months on from those events in Japan and we are perhaps starting to see definite answers to that second question. This week Switzerland followed Germany’s lead in phasing out nuclear power as the Senate approved a measure to shut down the country’s five reactors by 2034. There were some slightly unfair comments in our editorial office speculating that Swiss engineers may have found a way of harnessing perpetual energy from the country’s famous clocks. But its assertion – along with Germany’s – that it can provide most of its energy from renewable sources does seem, at best, ambitious. Meanwhile, in Italy the public recently went to the polls in large numbers to overwhelmingly reject a referendum on the building of new nuclear power stations. Perhaps understandably there has also been public dissent in Japan itself about nuclear power. But the size and apparent growing body of protest in a country not generally known for it, has surprised politicians there. This culminated on Sept 19th with a rally of some 60,000 anti-nuclear protesters in Tokyo. And according to the International Atomic Energy Agency (IAEA) six developing countries interested in developing a civil nuclear programme have notified it that they have abandoned their plans. It’s not only politicians and their subjects getting nervous though. Once a world leader in nuclear technology, German engineering giant Siemens last month announced it was completely pulling out of the sector and in particular its joint venture with Rosatom of Russia to make nuclear generating equipment. Scottish and Southern Energy (SSE), the UK’s second-biggest energy generator, also threw in the towel and said it would devote itself to producing more electricity from renewables. It announced it would sell its 25% stake in NuGeneration Ltd – the consortium planning to build a new plant at Sellafield in Cumbria – to partners Iberdrola and GDF Suez. Indeed, it has to be acknowledged that, irrespective of Fukushima, new nuclear build was never going to be plain sailing from a technical or financial standpoint. Just ask EDF, the French state-controlled utility which is currently building the first new nuclear plant in that country for 15 years with subsequent plans to build Britain’s first two plants for a generation. Work started on the plant at Flamanville (France) in 2006, which uses the European Pressurised Reactor (EPR) design, the same type that will be adopted at Hinkley Point and Sizewell should they go ahead. At the time EDF estimated that each plant would cost €3.3 billion (£2.6bn) and take five years to complete. Earlier this year it admitted the timetable had slipped somewhat revising its projection to a completion date of 2016 and a cost of €6bn (£5.2bn). There have been problems behind the scenes too, with France’s nuclear watchdog the ASN recently writing to EDF to highlight a series of ‘gaps and weaknesses’ in work being carried out. Complaints centred around safety conditions for workers (there have been a number of fatalities) and aspects of the reactor design. Nevertheless, EDF’s UK subsidiary said it ‘remains absolutely committed to nuclear power,’ adding that lessons will be learned from the experience at Flamanville. 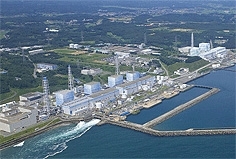 It is due to announce this autumn a new date for the start-up of its UK plant (originally set for 2018) following regulatory delays and a review of reactor designs in the wake of Fukushima. Meanwhile, the Horizon Nuclear Power joint venture between RWE and E.ON plans to invest around £15bn in around 6 gigawatts of new nuclear in the UK by 2025, but the group has yet to take its final investment decision or select the reactor technology. Of course the UK Government’s energy market reform white paper released in July was supposed to be a boon to nuclear with contracts for difference (CfDs) – guaranteeing low-carbon energy generators a fixed, higher-than-market-value price for their electricity. Despite this, utilities may simply not have the money or the inclination in the current environment to borrow the huge sums required for projects with such large construction risks. There’s no reason to believe that new nuclear in the UK will be stopped in its tracks, but the road is likely to be a long and difficult one and the debate about alternatives sources of energy more vigorous. As a closing comment it’s also perhaps worth noting the recent find in northwest England of some 200 trillion cubic feet of shale gas. While not without safety concerns itself, it will be signifantly cheaper to pursue this resource in the short-term than new nuclear.